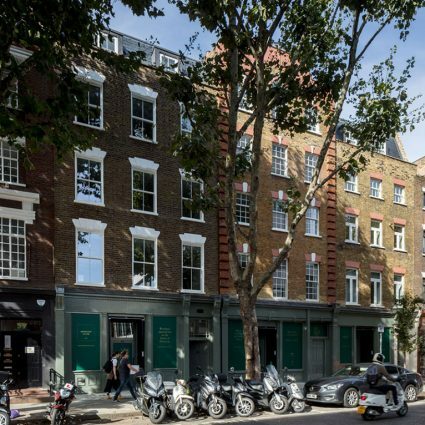 A mixed-use project in the heart of Fitzrovia to transform and extend three adjacent buildings into eight modern apartments set over 883 m2 of office and retail space. 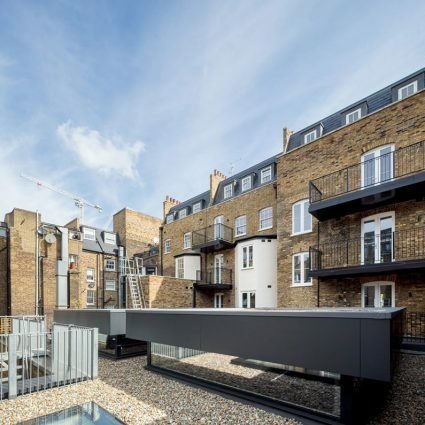 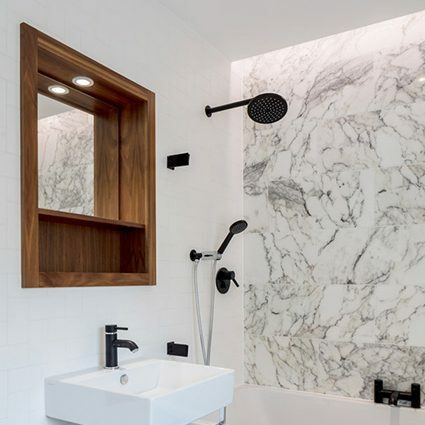 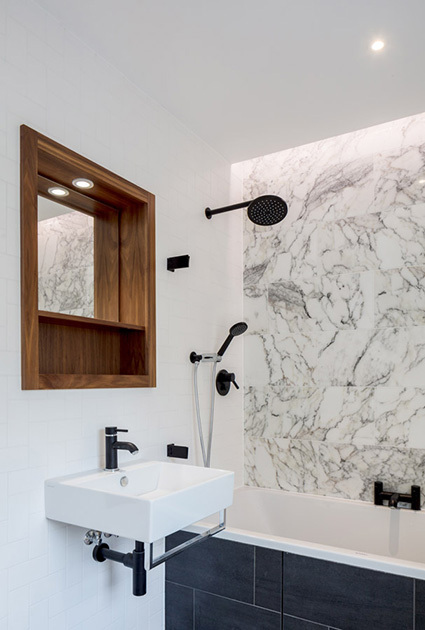 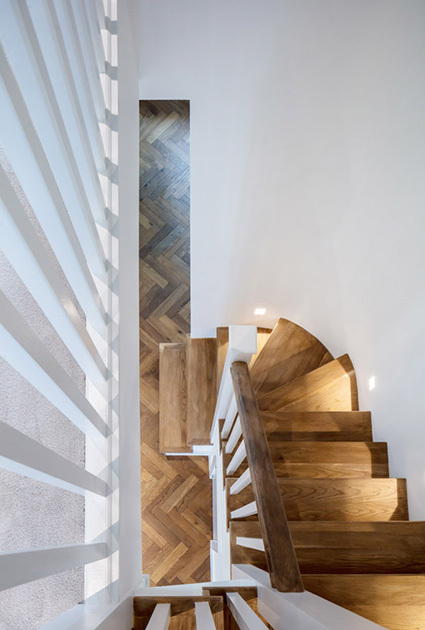 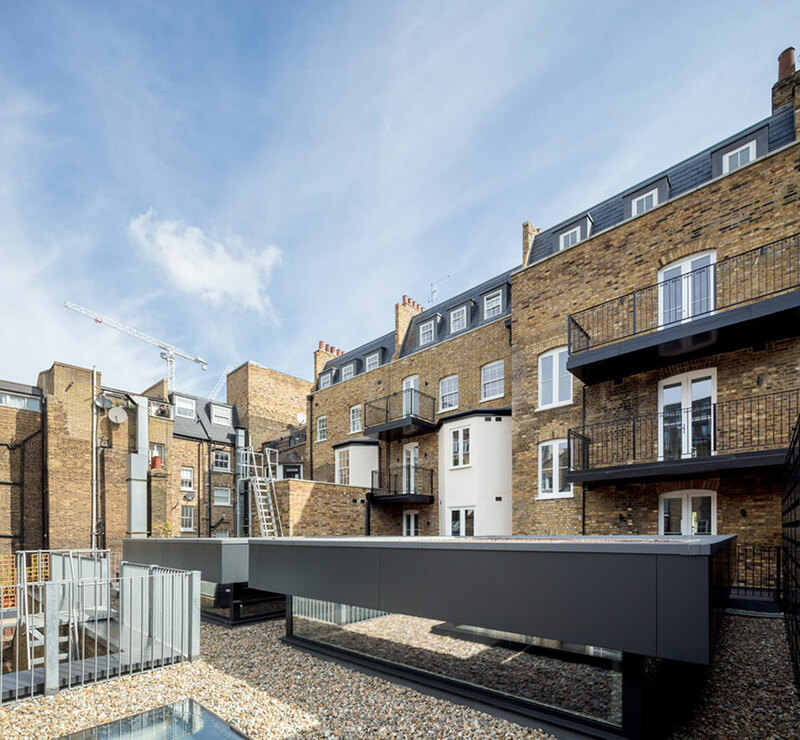 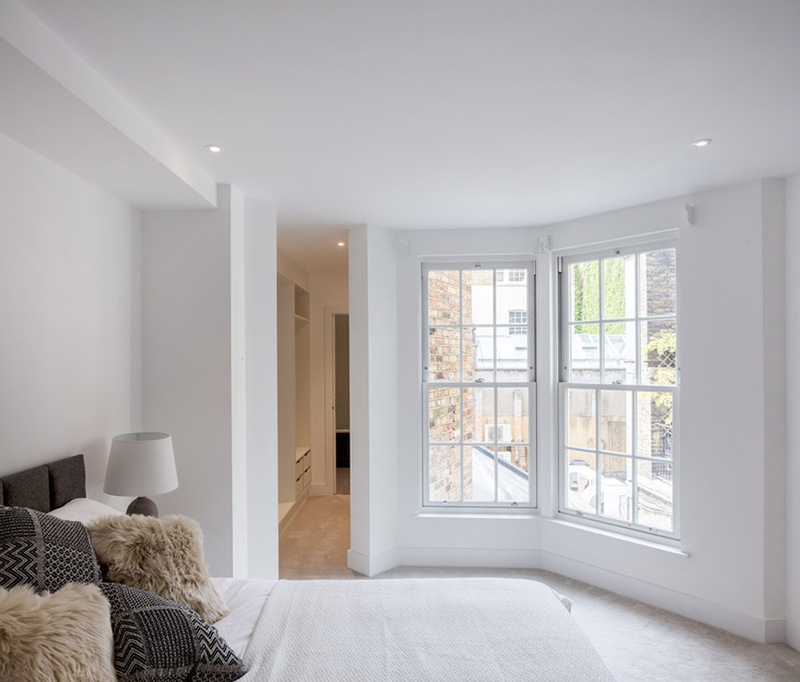 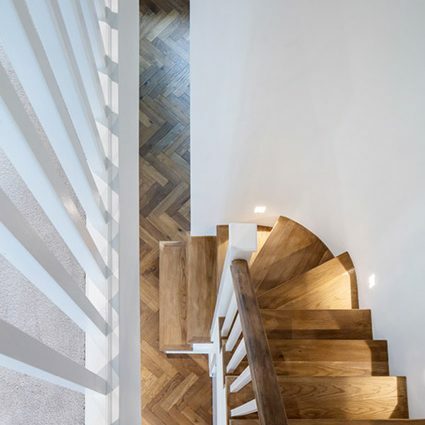 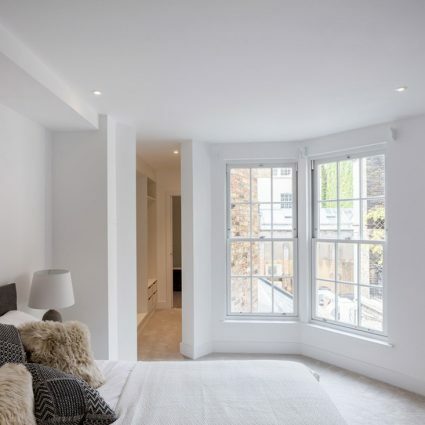 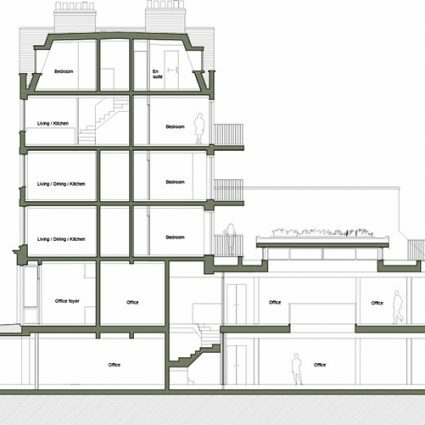 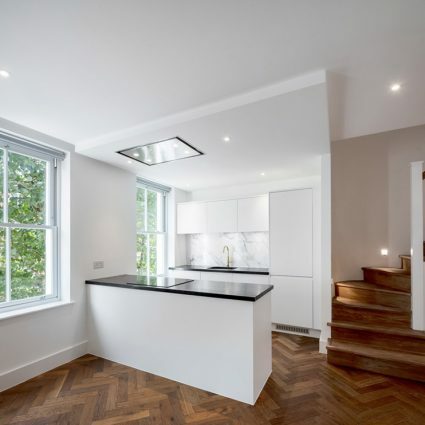 Rivington Street Studio were responsible for the technical design stages in support of the design & build contractor, making client requested revisions and providing detailed specifications for the fitting out and finishes. 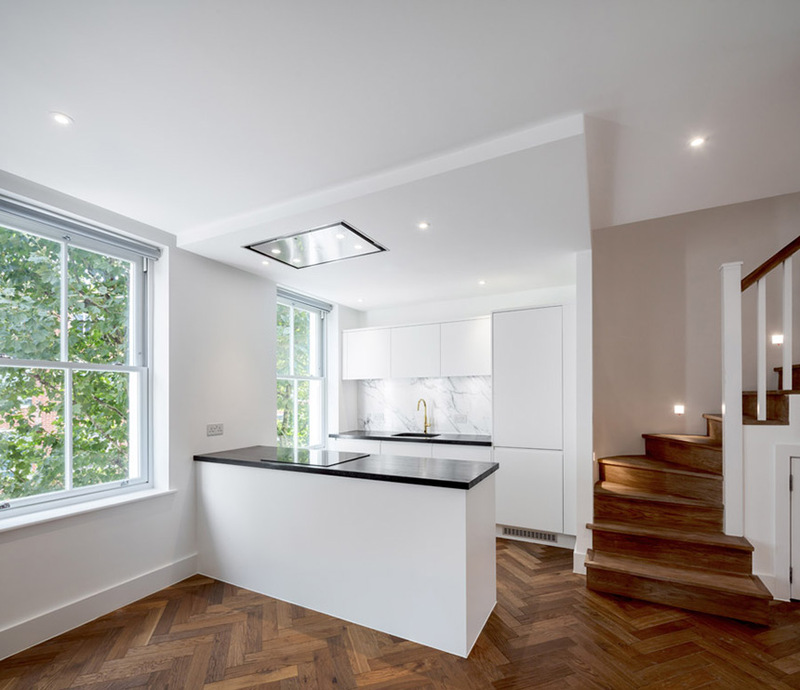 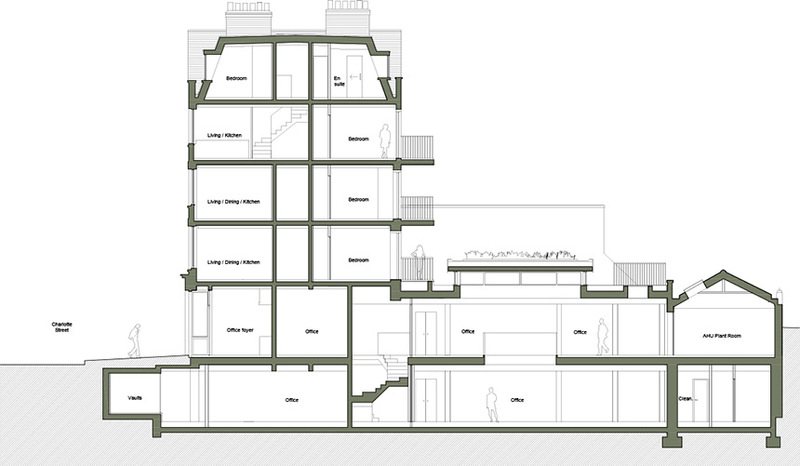 The homes are generous in plan and benefit from comfort cooling built into bespoke joinery units. 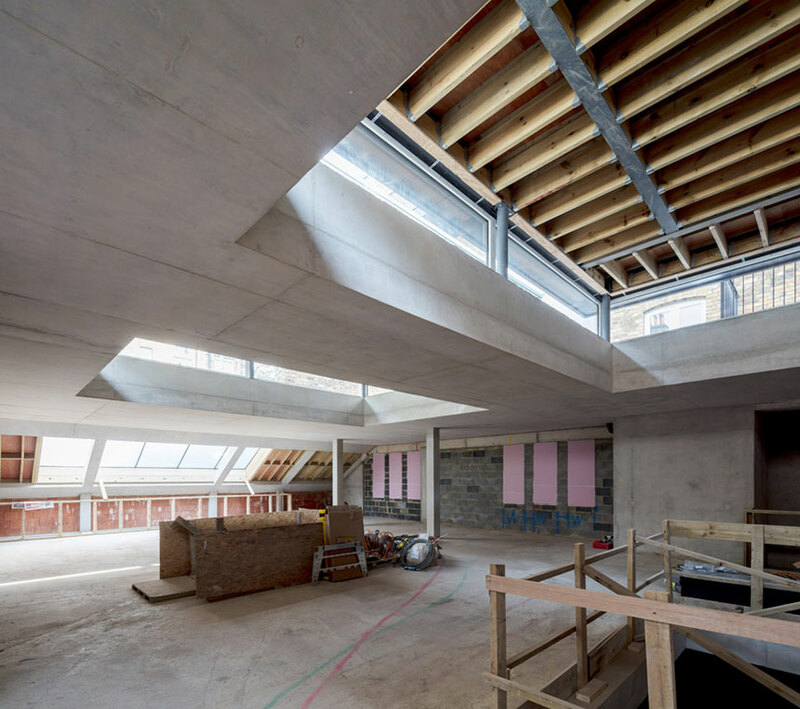 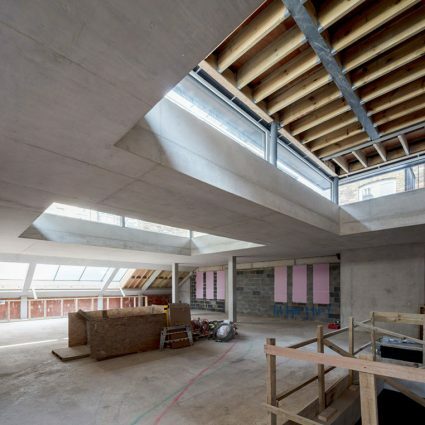 The office space has been finished off to a Cat A shell and core level with visual quality fair-faced concrete soffits underneath two large glazed lanterns. 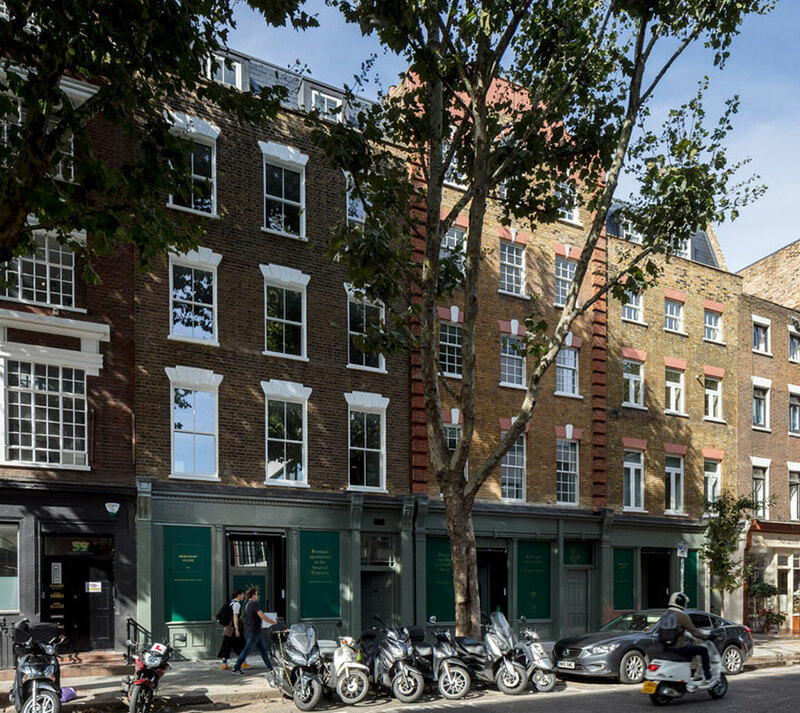 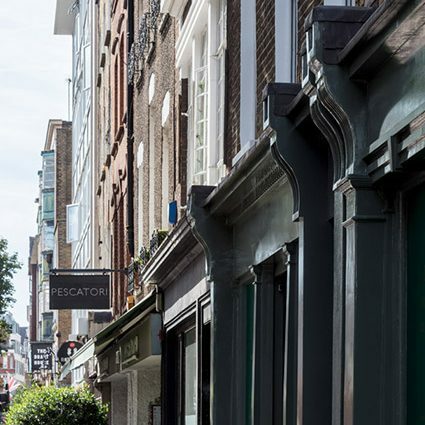 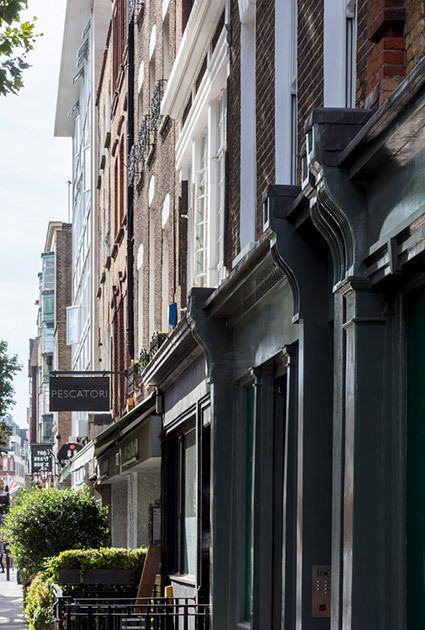 "With its elegant Victorian town houses situated amid the buzz of the West End, Charlotte Street is a highly sought after address… The project will deliver an economic boost to the neighbourhood, creating extra jobs and attracting new residents".